Awesome Etsy sales can turn your hobby into a business in weeks! Growing your shop isn’t rocket science, but in our busy daily routines there are key actions that might easily get missed. Many sellers don’t even plan to make a living from their Etsy shop when they start out. 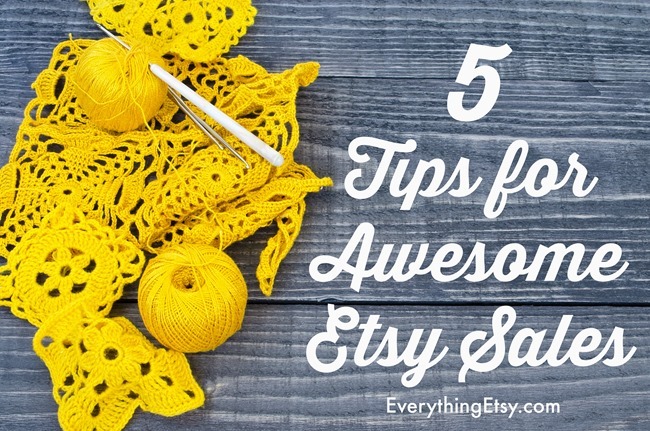 These Etsy tips will help you increase your sales. Since starting Everything Etsy about 6 years ago I’ve visited thousands of Etsy shops. I’ve seen it all! Etsy is full of a wide variety of shops, but very successful shops have many of the same things in common. The same ideas work for handmade, vintage or suppliers. Here’re a few tips to help you grow your shop to become one of the best! 1. Are your items shareable? Do they appeal to a large audience or only a select few…like your relatives? Sometimes friends and family will buy your handmade items just because they’re made by you. They love you and they might not be the best people to ask for advice on your Etsy shop. You need to look at your shop from a buyer’s viewpoint and realize that the buyer is the one you want to impress. Attract them with shareable items. Give them something to brag about buying. Give them something they HAVE to have right now. Give them something they want to tell the world they bought because it’s just that awesome! Creative products will be shared. If you sell handmade purses ,add something unique like a large button or a crochet flower. If you sell paper flowers, add glitter to make them stand out in a crowd. Do something to set yourself apart from the rest. Unique items are shared, and you need to use your creative skills to make your items extra special. 2. Do you have a wide selection? Visiting a shop with a handful of items isn’t as exciting as a shop full of pretty things. Buyers want choices and you can easily give it to them! If you sell a scarf in 3 colors, go ahead and show each one in another listing to build up the number of items in your shop. The more items you have the better your sales will be…trust me. Grow your shop to 100 or 200 items and watch the sales grow at the same time. The buyer gets to browse a large selection and pick out just what they want, and you get more search traffic from so many listing with a wider variety of keywords. 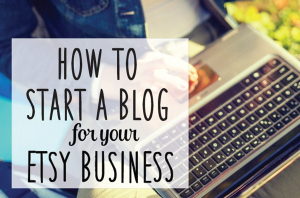 If you are looking to turn your shop into a business and not just a hobby, this is a must! 3. Do you have a variety of price points? Are all your items the same price? Do you have a shop full of fabulous paintings that are beautiful…and expensive. Give the casual shopper something to buy with special prints of your work or packages of note cards. Make it easy for them to buy something today with a variety of items to fit any budget. 4. Have you improved your photos lately? Are you items front page worthy? Take a look at the front page of Etsy and see what you can learn to improve your photos. There’s always room for improvement, even if it’s in showing your item from a different angle. Clothes are best shown on a model and jewelry pops off the page with simple, light backgrounds. Lighting can make a world of difference so take a little time planning before you photograph your next item. You won’t see dim photos on the front page no matter how beautiful the item. It can take practice, but this is one area of selling online that you need to make a priority. Change up your photos and you might find yourself featured on blogs and magazines…that’s always a good thing! 5. Do the description make you want to buy it? If you read your item description for the first time would it make you want to own it? Listing facts is only part of a description. Give the buyer the story behind your handmade item. Share why you made it, where its made, how you make it, or even the feelings of what it would be like to own it. Read more about telling a story with your description. These tips should get you started on the road to Etsy success. Everyone selling on Etsy knows about the hard work that has gone into making their items and why they are worth the asking price, but you still have to convince the buyer. Go through each one of these tips and look at your shop like you are the buyer. Make sure you know why you need it, want it, and have to have it! For more information on selling on Etsy visit our Etsy Business Section, or Join our new community for makers…Handmade Tickle. Care to share a tips that has worked for you? Thanks, Kim . . . once again, some great information! I know I have a lot to do in my shop and I work on some aspect of it every single day, even if I only have 15 minutes. The photos are still my weakest link . . . need a new camera and I’m going to have to make a few more sales to justify that expense, hahaha! If you have a smart phone these have some really good cameras on them. I found that taking pictures outside at the same time of day really helps lift the quality. great tips – I struggle with selling the item I’ve lovingly made, it’s my British reserve – I don’t like blowing my own trumpet. I can do it face to face but in words. I struggle. so good advise thanks! Hi Lisa, if you find you can sell it in person, find a teddy, and sell it your item, record the conversation, transcript it verbatim and there you have your description, its a way of making your descriptions stand out from the others, make sure you make teddies questions bold or on their own line, like an interview. Great advice! Your tip on thinking like a buyer is brilliant and I try to make it my mantra when listing items. I always keep that in mind when writing titles, descriptions and deciding on key phrases for tags. Also, having a variety of items and price points is crucial. Having something for everyone really draws in buyers from different target audiences. Thank you, Kim! Spot on, as always. Thank you Kim! I’ve been really working at making my shop look cohesive — trying to add variety that speaks to a larger audience as well. One thing I’ve been wondering is how soon should I begin presenting items that speak to the change in season (i.e. Is July or August too soon to present Fall items/colors)? Thanks for your tips! I think as soon as they are ready, offering international customers options or allowing customers to save for that piece. I’m sure you are very busy… but if you have a second- could you check out my shop and give me any pointers? I’ve had it for almost 2 years and I am open to any suggestions. Thanks so much for the great tips! Hi Melinda, I just had a quick look at your shop and my first impression is your pictures are very busy, and of varying size, try to keep a collection of pictures for each item in the same direction, maybe make your first picture of each item, the one with a mode, or if its the use of nature you like try and keep t just about the nature like hang the bag from a tree rather than a chair. This is just some of the service I offer. I am so glad to discover this blog. 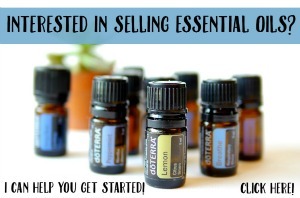 I am just learning about social media and selling on Etsy. I have had my shop up and running for several months now. I am particularly interested in the tip about having a lot of items in your shop. I have 61 but need to get busy and start loading items. I could easily reach 100 items given enough time. Thank you for the wonderful tips. I have my work cut out for me over the next month. Look forward to following your blog. This is a nice and useful read. I to have just started up my Etsy shop after being a member (and Etsy shopper myself) for several years. My shop AntiDoteSkinCare doesn’t have many items but I never thought of splitting up my listings into variations of same item. For example, I sell skin care products and have different sizes for different products and they could essentially be split up into their own listings. In turn I can increase the number of tags, keywords I can be searched under and increase traffic to my shop that way. Brilliantly simple, yet effective. I am off to do exactly that and will be back for some more tips. Thanks, love your advice. I really need to work on the descriptions and the photos. Your right, higher end furniture pieces are difficult, I haven’t stopped by your shop yet but maybe you could add smaller items in the same feel like tea trolleys, maybe some revamped serving trays, wooden vases repurposed or decorated. Life and happiness coach including, creative business mentoring. I love reading your blog and all the responses.. It can be tough to try and corner a market that has so many people doing the same thing. Sometimes i’m not sure whether i’m sticking too close to the classics or going to far off the beaten path. All I know is that each piece I work on tells a story in my mind. It has meaning. And just as someone mentioned about their work above, it’s hard to translate it all into words without being too technical or too abstract. So, just as I begin to get overwhelmed wondering why I can have the same items in my shop, be in the same area, and even have cheaper prices (but the same quality and craftsmanship), I just come here for some much needed encouragement! Thank you!! You mention having a wide selection of 50, 100 or more items in the shop. I create custom photo jewelry. I have samples in my shop, but how do I increase the number of items in my shop since each item is made to order? What is a good number of items to have in a shop that does custom orders? What an awesome post! Love the part about making my photos front page worthy! That’s definitely something I struggle with! I’m always up for constructive criticism! I know you’re busy, but a quick look at my page would be amazing! I finally got on Instagram and that seems to have helped. Not sure how to tell for sure though. I spend a lot of time editing my pictures. I will list an item and come back to it later and realize that it could be cropped better. Or made brighter.